Enhance the experience for you and your guests! 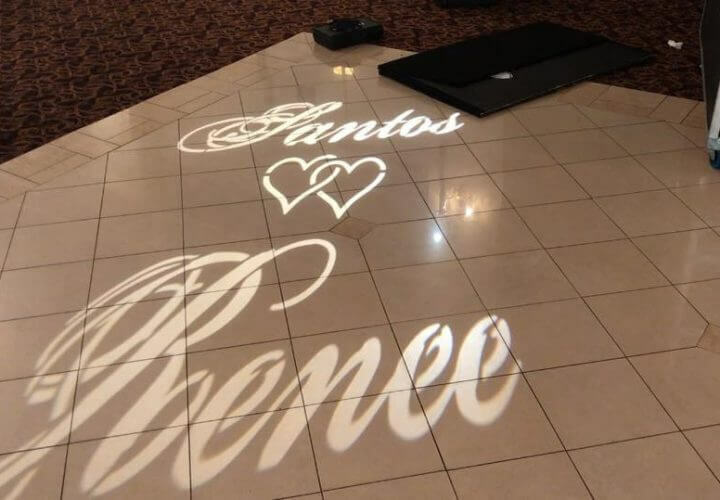 Have your names, wedding date or monogram custom made and projected for all your guests to see on the center of the dance floor. This is sure to add a touch of elegance to your already extra special day. 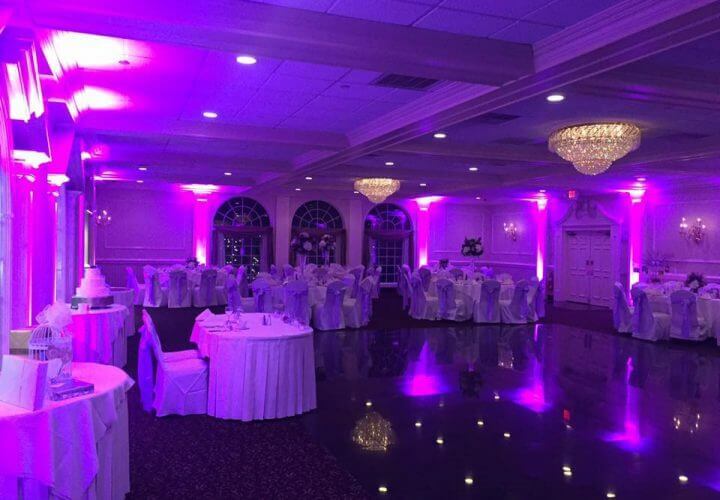 Up-Lighting is used to transform a beautiful setting into a magnificent one. 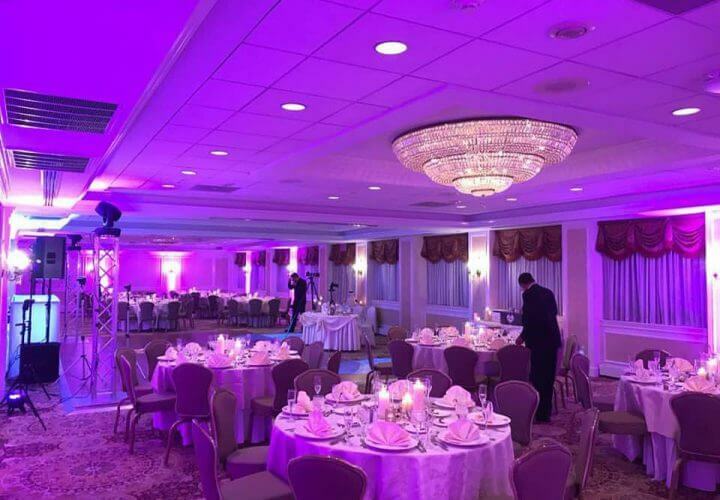 We can customize the color and specific placement of focus to turn your event into a sophisticated and welcoming glow. If you could, would you like to have your first dance on the clouds? Well, we can make it happen! By using our low flying fogger, we can create the effect of clouds on the dance floor. For your first dance as husband and wife. A photo montage is a beautiful way to show your family and friends all the extraordinary history and places you’ve shared together. You provide us with 40-50 photos and 2 or 3 songs of choice, and we’ll do the rest. We create a professional custom slideshow just for you and play it on our screen during the time of your choice. Music videos will play throughout your event to enhance the experience.